ABUNDANT BLESSINGS! We have made available for purchase our 8 oz of Pomegranate Oil in a separate amber plastic container, which may be poured into any one of our beautiful decanters. In this way, you may choose which decanter you would like to see hold the precious anointing oil. 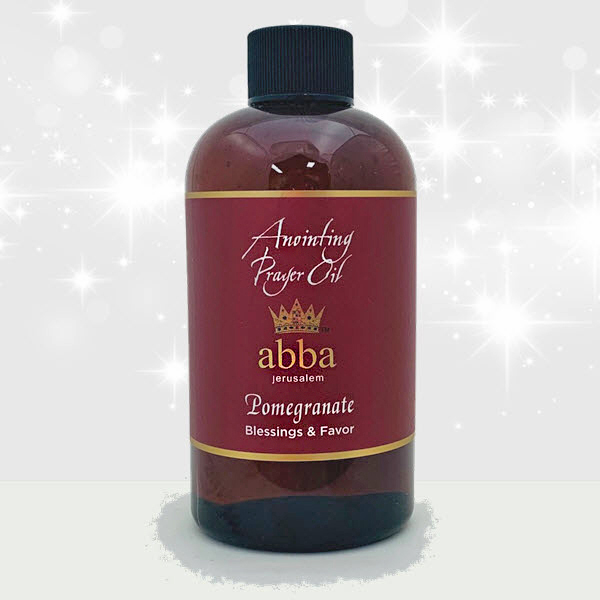 Abba's Pomegranate anointing oil is a unique blend of pure olive oil from Israel with an essential oil base of Pomegranate.